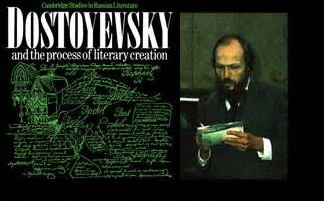 Many people consider Fyodor Dostoyevsky the greatest novelist and artist innovator of all times. Can you imagine where or how he found inspiration to be so creative? “Poverty and misery form the artist” – Dostoyevsky had difficult times since his childhood. Nothing was easy for him. He didn’t have parents’ support. Later, due his convictions and utopic dreams, he was sentenced and condemned to death but at the last moment, a russian emperor changed that to a sentence of four years’ hard labor in Siberia. Much more on this sense could be mentioned but let’s stop here. Instead of staying mad or depressed, he used all those experiences to dive deep in the human’s soul. Last but not least: 43% of tablet owners spend more time with their tablets than their TVs or PCs, and 84% of tablet owners spend most of their time playing games on it. Creativity and innovation are intrinsically related to human beings’ interactions and observations. Do not iPad yourself thus; suddenly Dostoyevsky will make more sense for you.